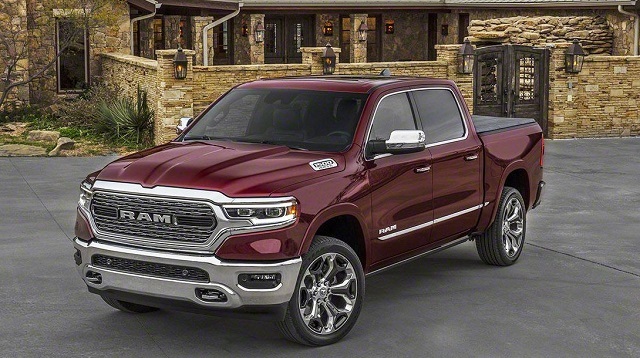 Now it is official, 2019 Ram 1500 is finally arriving at dealerships. FCA has announced the price range of their full-size pickup truck which will be available by the end of March. 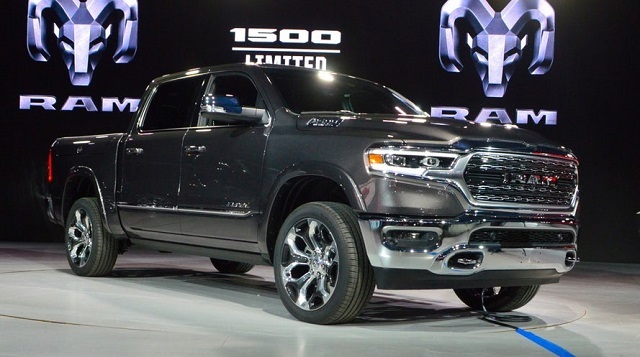 The Ram truck fans won’t be so thrilled since the price went slightly up. The entry-level trim, Tradesman with the 3.6-liter V6 Pentastar engine, an eight-speed automatic transmission and the smaller quad-cab body style starts now from $33,340. This is $1,095 more than the price of the previous model. However, now even this trim will have a touch-screen infotainment system with Uconnect and eTorque mild-hybrid system. If you need a workhorse with some extra power you can upgrade the base Tradesman with the V8 engine. This 5.7-liter Hemi with its 395 horses will increase the price of the truck for $1195. The eTorque mild-hybrid system matched with the Hemi V8 will additionally increase costs for $1,995. More popular mid-level trim, Big Horn will start at $37,340 which is a good news since its price has dropped for around $1,500. This trim arrives with standard chrome details on the exterior and 5.0-inch touchscreen with the infotainment system. Like with the Tradesman trim, all-wheel drive is available for the extra $3,500. Sports and off-road trim, 2019 Ram 1500 Rebel with quad-cab body style and V6 with eTorque system, is now available for $46,340. The same trim, only with the crew-cab will have a price range from $45,640 to $49,140 depending on the drive system. The luxury trims start with Ram 1500 Laramie at $42,335. This model will have the same powertrain options but more premium features. The 5-inch touchscreen will be replaced with the 8.4-inch unit. The heated and ventilated power front seats with leather upholstery will also be available. Two most luxurious trims are Ram 1500 Laramie Longhorn which comes only in crew-cab configuration and starts at $53,035, and Limited trim whose price will be $55,535. The four-wheel drive and bigger, crew-cab configuration will increase costs for the Limited trim up to $59,335. Both premium trims will feature a 7.0-inch digital gauge-cluster display, heated and reclining rear seats, leather steering wheel with heaters and the latest navigation system. The Ram Limited will replace 8.4-inch for 12.0-inch touchscreen the infotainment system. Standard safety features will be blind-spot monitoring, lane-departure warning, lane-keeping assist, 360-degree camera, adaptive cruise control and automated emergency braking. The FCA have increased the price of its light-duty truck, but it also improved its towing capacities, since now it is rated at up to 12,750 pounds and can carry 2320 pounds. They also have left plenty of possibilities at each trim level for additional improvements and upgrades. This will, naturally, slightly increase the price of the truck but will give more opportunities for everybody to tune up their new workhorse exactly as wished.